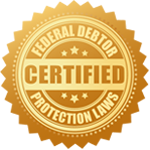 Using The Dispute Center credit repair outsourcing service allows you to focus on sales and grow your credit repair business. We use advanced credit repair strategies and provide multiple programs to fit your credit repair business needs. No other credit repair outsourcing company offers that flexibility. Complete back-office service, including phone and email support branded to your company name. Limited to letter production and mailing, document processing, and account updates. Does not include any client service work. Limited to processing documents, update accounts, and produce and mail letters as you assign the task. Let’s you have control. Our Program Options have multiple service levels and all programs include credit bureau disputes and direct investigation letters to data furnishers. You can mix or match programs and service options as needed. Credit bureau investigations first two mailings that include trade lines, public records, personal information, and hard inquiry investigations. After the first two rounds, we focus efforts to mailing letters directly to data furnishers and only mail credit bureaus as needed. The Silver program is recommended when a client has limited accounts to enroll or has a limited budget. Credit bureau investigations first two rounds that include trade lines, public records, personal information, and hard inquiry investigations. At the same time, we mail three letters direct to data furnishers. After the first two rounds, we focus efforts to mailing letters directly to data furnishers and only mail credit bureaus as needed. The Ruby program provides another option to fit the client needs. Credit bureau investigations first two rounds that include trade lines, public records, personal information, and hard inquiry investigations. At the same time, we mail seven letters direct to data furnishers. After the first two rounds, we focus efforts to mailing letters directly to data furnishers and only mail credit bureaus as needed. The Gold program provides a mid-priced option to fit the client needs. Credit bureau investigations first two rounds that include trade lines, public records, personal information, and hard inquiry investigations. At the same time, we mail twelve letters direct to data furnishers. After the first two rounds, we focus efforts to mailing letters directly to data furnishers and only mail credit bureaus as needed. The Platinum program is our “accelerated” option for clients that have a time urgent need or have a large number of accounts that need to be investigated. Include credit monitoring with your programs. Here are a few valuable reasons you should add credit monitoring to your programs. Credit monitoring could increase your margins by $10 to $30 per month, depending on your pricing and business model. TDC absorbs about 50% of the credit monitoring cost, since it helps to reduce our labor, which, increases your margins. Monitoring gives your client an incentive to make their program payments to you. Their credit report and credit scores will not refresh if they don’t make their program payment. Monitoring reduces client frustration with the requirement to send documents. However, clients should forward any correction or deletion notices they receive. The credit monitoring product can help turn the client into a “client for life,” with residual income, as they exit your program. Our Full-Service credit repair outsourcing program removes the burden of day-to-day tasks allowing you to increase sales and profits. We are not aware of any competitors that offer a premium, full-service client support program like The Dispute Center. Most competitors are letter production services that produce 3 credit bureau letters every 35 to 40 days for a monthly fee and do not provide any client service or support. The lack of client service support drastically consumes your time and resources and will hinder your growth. Some competitors offer direct disputes to the reporting companies for an additional fee, however, you have to manage the accounts each month, and others do not offer any direct disputes. Producing dispute letters is the lowest cost of servicing a file; the majority of the cost to service a client is the labor to provide premium service by taking client phone calls, follow up for, receive and process documents, producing custom letters, and keeping clients happy! Additionally, many credit repair outsourcing companies disregard the importance of client responses, which is truly vital to achieving success in the credit dispute process. Our competitors send non-customized template letters, hoping for success; that is not professional or in your client’s best interest. The Dispute Center actively seeks out client responses, saving you time and labor. Responses are important for client retention and show success, program completion, and provide vital information to customize the strategy and outbound letters. We strive to expedite the process and our staff will manage the entire credit repair dispute program for you and your clients. We manage the accounts, create custom dispute letters, and print and mail them on your client’s behalf. First class postage is always included.